Are you familiar with the 5 stages of grief? 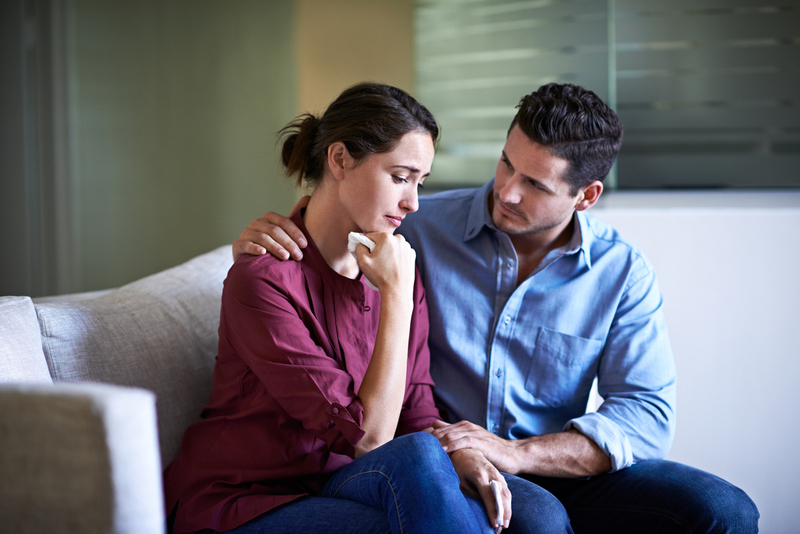 They describe the stages people go through when they learn they have a serious illness, or have lost a loved one, or have gotten divorced or broken up with a significant other. I find these stages helpful in understanding how parents may feel after their child receives a diagnosis of learning disability, ADHD, Asperger’s, and even giftedness. For many parents there is a natural “mourning period” - a period of time in which they eventually let go of the image they may have harbored of a “perfect” child with idealized characteristics, and accept the child they have instead been given – for all his or her unique and wonderful differentness. It’s natural for parents to have expectations and dreams about the child they will have one day. And it’s natural to be shaken up when one’s expectations and dreams are threatened. That’s where grief can come in. Parents may go through “stages of grief” as they “mourn” the loss of the child they thought they’d have before accepting the child they do have. Stage 1 is Denial. The first reaction for some is denial. This stage can serve the function of providing emotional protection from being overwhelmed with the idea all at once. Parents may believe the diagnosis is incorrect or mistaken, and try to cling to a false, preferable reality of a “perfect,” or “normal” child. Second opinions may be sought. Symptoms may be dismissed as “developmental” or attributed to generalities like “boys will be boys.” The assessment report might be filed in the wastebasket. Of course it is possible that the diagnosis is inaccurate, and parents should challenge it if it doesn’t seem right. But at some point - if the shoe fits - it is in the child’s best interest for parents to stop denying it. It is very important that the professional charged with first explaining the child’s profile to parents do so with empathy, recognizing and pointing out the child’s many strengths, and providing recommendations that address strengths as well as areas of weakness. No child should be defined entirely by weaknesses, deficits, or disabilities. Stage 2 is Guilt. As the shock wears off, it may be replaced with pain and guilt. Parents may feel it is their “fault.” Mothers may wonder if it was that one glass of wine they had when they were pregnant. Should they have embraced a more structured parenting style and told their toddler “no” more often? Should they have used organic baby food? Should they have asked their future spouse for a genetic screening test before they accepted a proposal of marriage? I find the guilt stage to be particularly prevalent among mothers who work outside of the home. Stage 3 is Anger. Some parents may become angry and frustrated, especially at proximate individuals like school staff, teachers, and spouses. They struggle with "Why my child? It's not fair! ", "How could this happen?”, and “Who brought those genes into the family anyway?” They may go to war with their child’s school, focusing their anger on trying to get the services he or she needs. They may hire an advocate to accompany them into battle. Often this is a good thing and results in the child’s needs being met. But sometimes parents get stuck in this stage and spend years locked in battle. This may not be the most beneficial thing for the child, who is waiting in the sidelines for services, and can create a “battle zone” mentality which is not conducive to a happy home life. Marriages may suffer, especially if one spouse is in the anger stage while the other is still in denial or guilt. Stage 4 is Depression. A period of sadness, loneliness, and hopelessness may come next. Parents may feel a sense of despair that their child might not be able to lead a normal life, go to college, find a partner, and have a successful career. Sleepless nights may ensue. Parents may isolate themselves from relationships with others (e.g. friends with children who appear to be thriving in school) who they feel can’t understand what they’re going through. This stage can be particularly difficult for parents who feel they are in it alone – single parents and those whose spouses do not “buy in” to the diagnosis and plan of action. Stage 5 is Acceptance. Acceptance is the final or “goal” stage. Acceptance means that parents bury the expectation of the perfect, normal, idealized child (whatever that means) and accept the wonderful child that they have – in all his or her uniqueness. Acceptance means realizing: "It's going to be okay;” and maybe even: “It’s going to be great!” Equanimity comes with acceptance. Equanimity involves the ability to be calm and maintain composure even in a difficult situation. As the parent of two twice exceptional children with learning disabilities and ADHD I’ve been through these stages myself. Disbelief and denial that there could be anything “off” given how bright my children seemed. Guilt that maybe this wouldn’t have happened if I’d parented with more structure or had them assessed when they were younger. Anger that their schools seemed unwilling to address their disabilities or their giftedness. Isolation, sleepless nights. Friends and relatives who didn’t “get it.” And finally…acceptance. And pride and joy that my children are unique and fascinating individuals with strengths they probably would never have had if they weren’t wired differently. I’m still working on the equanimity bit. Calm and composed? Too much to expect!